High-sensitivity internal 10 Hz GPS and GLONASS receiver. Fully network capable for Garmin Marine Network and NMEA 2000® plus NMEA 0183 support. 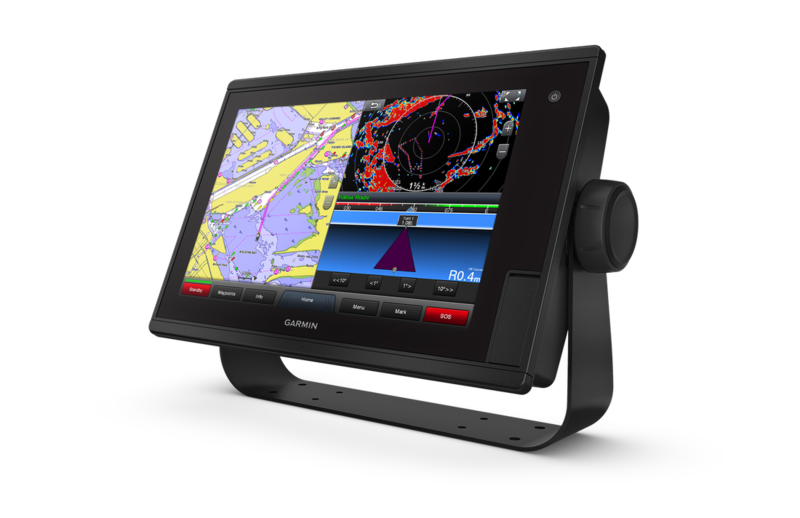 Complete Network Sharing: Garmin Marine Network support allows sharing of sonar, maps, user data, dome or open-array radar, IP cameras and Panoptix™ sonar among multiple units. Includes NMEA 2000 network connectivity and NMEA 0183 support for autopilots, digital switching, weather, FUSION-Link, VHF, AIS and other sensors. Heading, Position Refreshed 10 Times per Second: Fast, responsive built-in 10 Hz GPS and GLONASS receiver refreshes your position and heading 10 times each second to make your movement on the screen more fluid. It makes dropping up to 5,000 accurate waypoints — and finding your way back to them — quick and easy. Upgrade to Our Best Maps on the Water: Two SD™ card slots provide expandable memory for accessory map purchases, such as LakeVü HD, LakeVü HD Ultra, BlueChart® g2 HD or BlueChart® g2 Vision® HD, which adds Garmin patented Auto Guidance¹ and other great features.